De zomer nadert, er is nog tijd om te boeken! 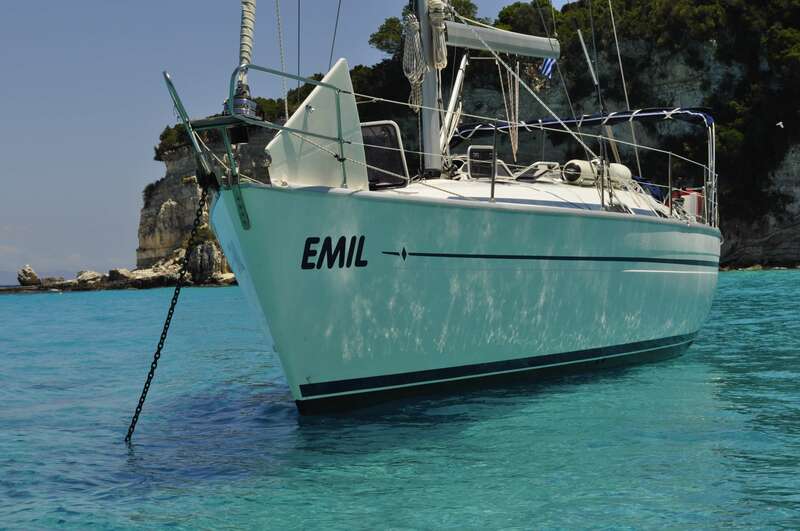 The EMIL is a very well kept Bavaria 41. 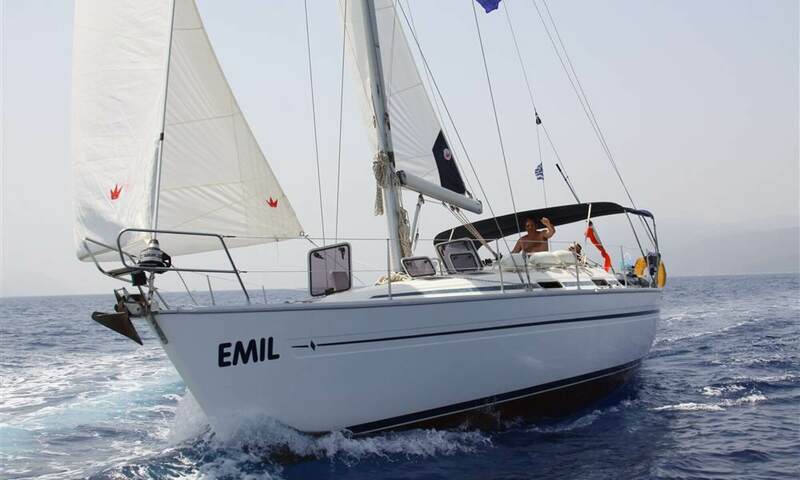 With its three cabins and two bathrooms, it’s an ideal ship to sail with multiple people. 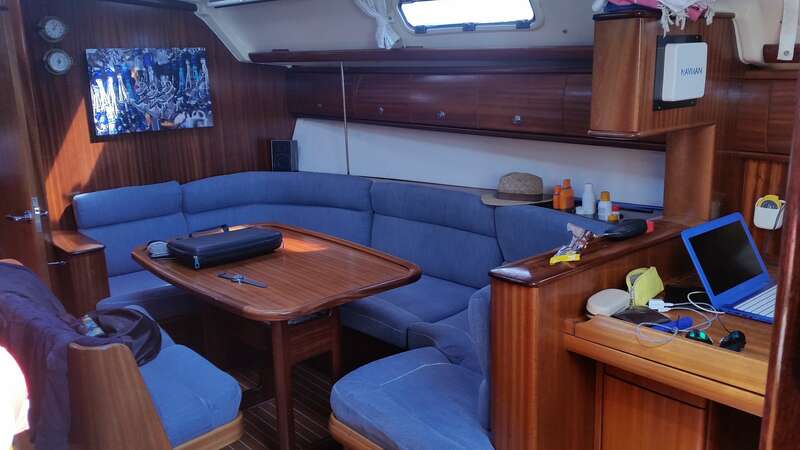 In the front the owners cabin with a separate bathroom and toilet and the two other cabins are in the back and can make use of the bathroom and toilet there. 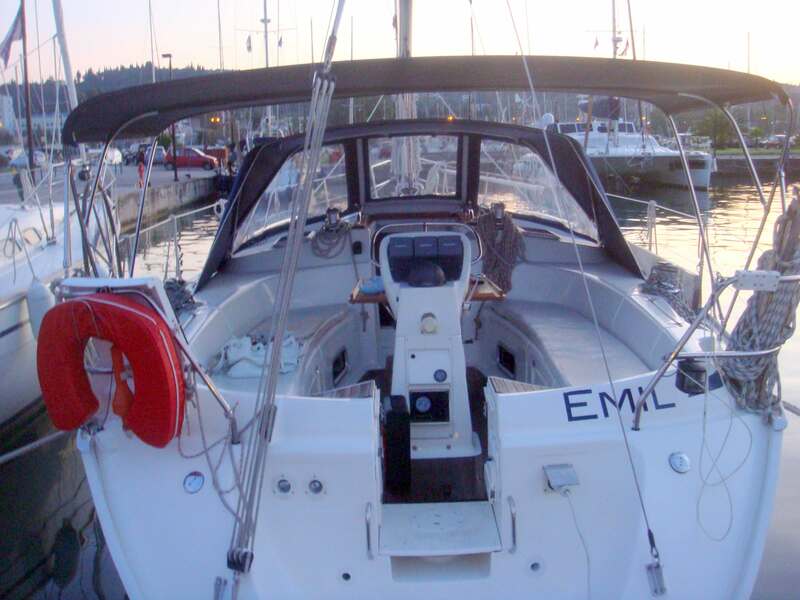 The entire ship can be managed from the rear deck and an auto pilot guarantees a safe and relaxed journey. The ship has a roll-out mainsail in the mast and , of course, a roll-out genua. The bimini (the hood over the steering deck), ensures protection from the (abundant) solar rays. The 55hp Volvo Penta engine is a reliable power source that makes sailing the ship easy. Solar panels ensure power also when sailing, so the fridge and mobile devices can be used at all times. Indien u gegevens achterlaat worden deze door ons uitsluitend gebruikt om u de informatie te verstrekken waar u om heeft gevraagd en wordt u opgenomen in onze relatie database. When you submit your personal data, it will be used to provide the requested information and it will be stored in our customer relationship database.